The JAGUAR E-PACE is the latest SUV to join the Jaguar portfolio, an agile car that has the distinctive lines of a Jaguar, sculpted bonnet, muscular rear haunches, and coupe like lines. E-PACE takes the Jaguar driving experience and adds everyday practicality with an abundance of space. There has never been an SUV like this before. For further information or to book a demonstration drive session, our team at Rybrook Jaguar Huddersfield, Warrington & Stoke would be delighted to introduce you to the E-PACE line-up. Jaguar E-PACE has the aesthetics of a Coupé and the practicality of an SUV. LED headlights and rear light make for a striking presence whether the vehicle stationary or in motion. Optional Matrix LED headlights and Animated Directional Indicators add style and another level of safety. 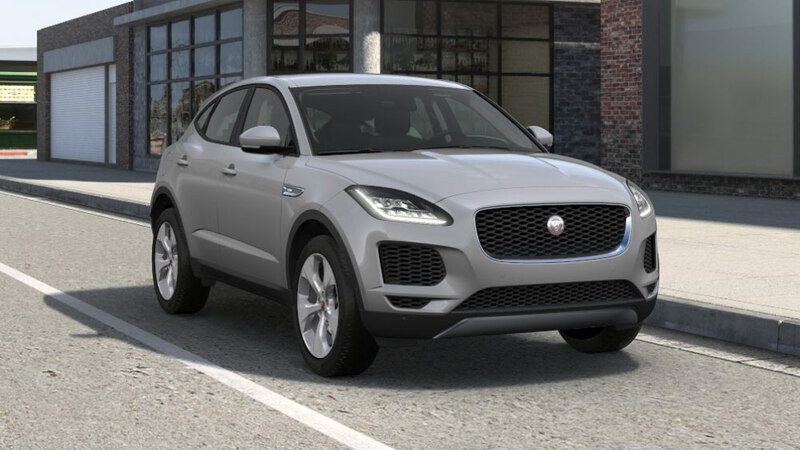 The sweeping roofline combines with the rear spoiler to form the sporting character of the E-PACE. Optional extras such as the Panoramic roof add plenty of natural light and completely transform the cabin, making it feel spacious, airy and bring the outside in with magnificent views of the sky. 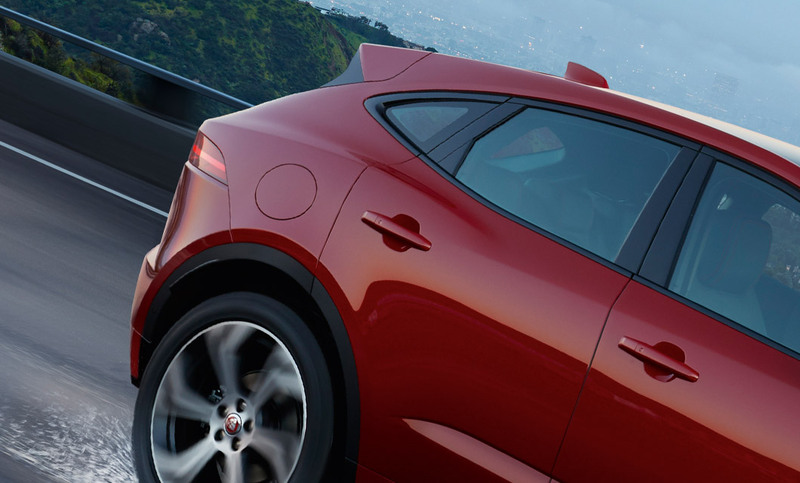 Jaguar’s Ingenium Engine’s provide extremely effortless day to day performance, with plenty of power and torque. All engines come with Stop/Start technology along with smart regenerative charging – harvesting the kinetic energy whilst braking to charge the battery, providing maximum fuel economy, especially during urban driving. E-PACE’s chassis has been developed to deliver superior on-road dynamics and also the highest level of comfort. 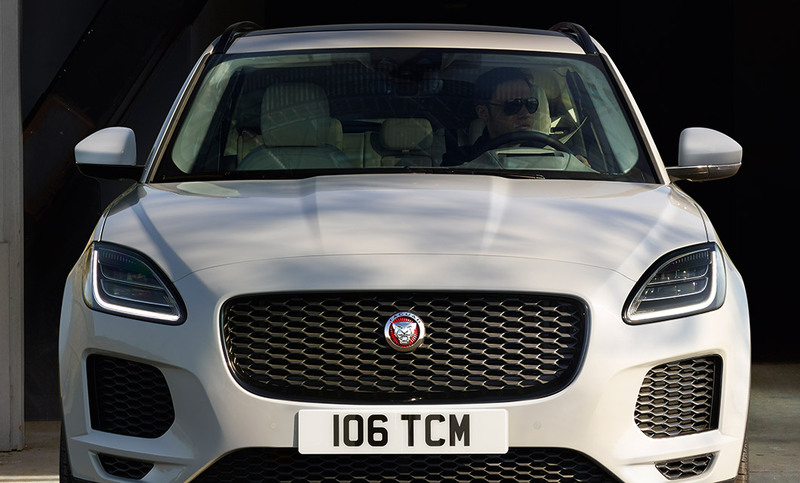 The E-PACE cabin surrounds the driver with a cockpit feel, with the Sportshift selector sitting right at your fingertips. The sleek infinity rear view mirror offers a frameless finish that compliments the quality materials throughout the car. Space is abundance throughout the E-PACE and the interior storage is the best in its class. The centre console provides plenty of space for everyday essentials, also giving you the ability to charge your devices on the go. The configurable ambient lighting creates a relaxing atmosphere for the driver and passengers. 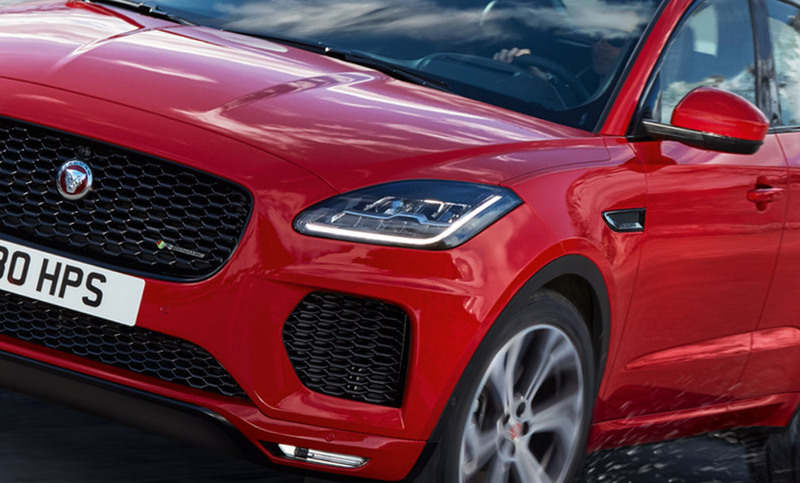 You chose to create the Jaguar E-PACE that suits your style. Interested in a NEW JAGUAR E-PACE?